I’ve never before seen this color in nature, so of course I had to take a picture. Our guide told us that this plant is the wild coffee bush, introduced to Madagascar when humans first began inhabiting the island 2,000 years ago. The berries are white or pale yellow at first. 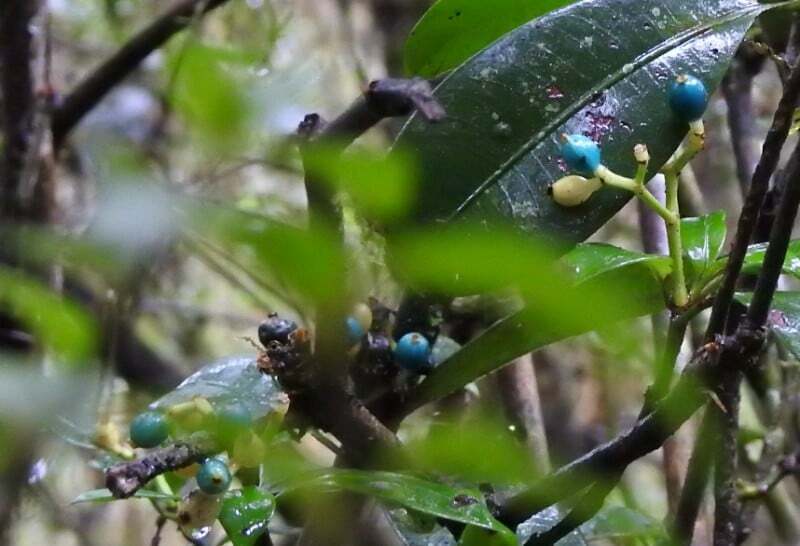 They then turn turquoise and finally red when ripe, just like regular coffee plants — which makes sense since it’s in the same genus. There are two seeds inside, and people in the north of Madagascar roast them to drink like coffee. Maybe I’ll get to try one before I leave. I wonder if they *taste* like Cap'n Crunch berries.